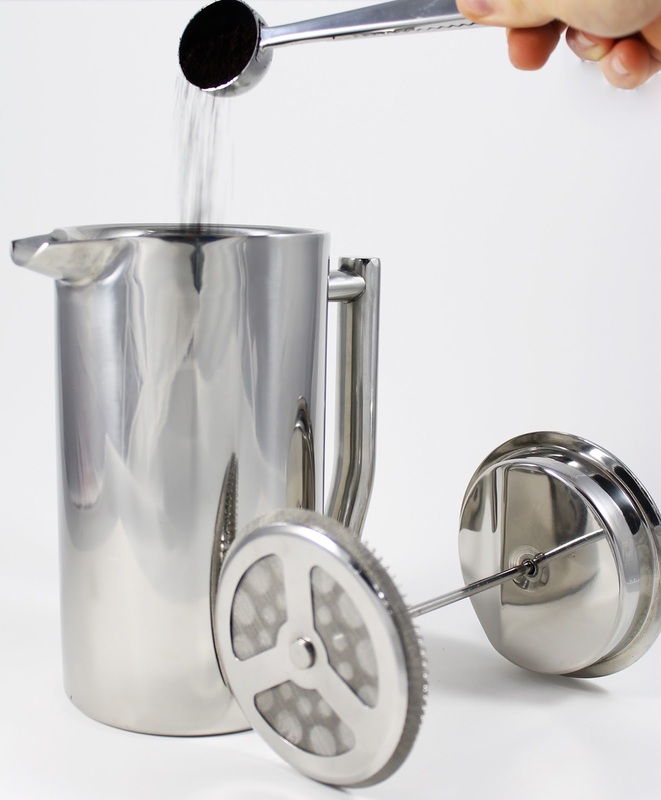 No more coffee grounds in your cup - double screen filter means you don't have to drink sludge! Includes coffee scoop (1.5 Tbsp) - our unique bag clip coffee scoop allows you to accurately measure and keep your coffee fresh! Here at Elementi Moderni, we're all about high quality coffee products.WE LOVE COFFEE and know that you do, too! We also know that you want a french press that's going to deliver consistently hot coffee. 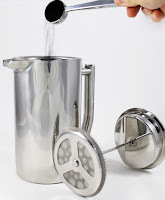 So we've brought you the Elementi French Press. Pamper yourself! 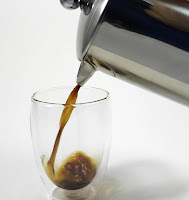 Enjoy homemade quality coffee at a fraction of the price! I'm a huge coffee drinker. My day hasn't started until I have had my first cup of coffee.. I love it! This Elementi French Press is very nice. 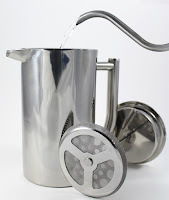 It's stainless steel and has a very modern design and look to it. The handle fits nicely in my hand and is easy to hold. And, I love the spout, pouring is a breeze. 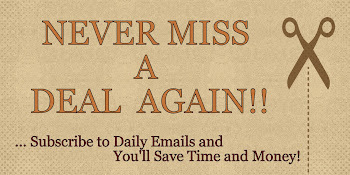 It seems very durable and was easy to use. Worked great and kept my coffee hot. The screen really works well too with keeping the grounds out of my coffee and it was easy to clean. It's able to make about 34 ounces of coffee. That's about 4 medium sized coffee mugs or 2 large coffee mugs. That's usually good for just me..Lol! So, it's not good for a large group, but it's nice on a Sunday morning with a guest. Overall, I'm very happy with this french press. It makes great coffee and feels so elegant. 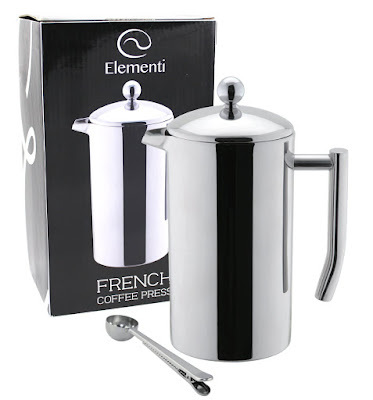 If you would like to try this for yourself, you can purchase this Elementi French Press | Stainless Steel Dual Wall Insulation and Double Filter right now from Amazon!